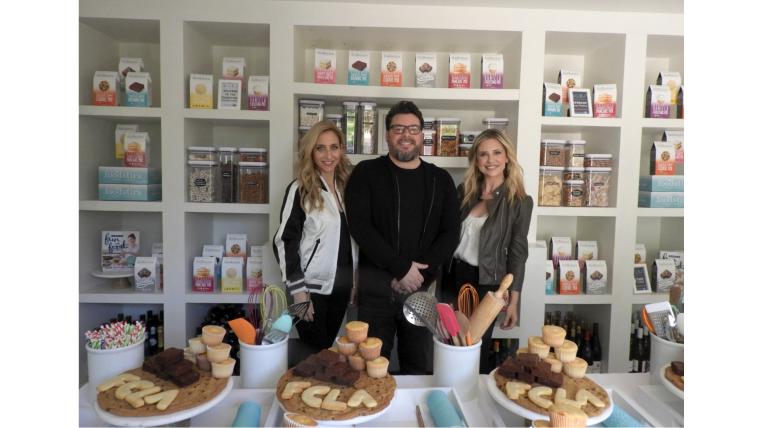 (L-R) Galit Laibow, Greg Fleishman & Sarah Michelle Gellar founded Foodstirs, an organic baking goods brand in 2015. You’re used to seeing Sarah Michelle Gellar fighting vampires on the small screen, but now she’s slaying in a completely different arena — the kitchen. Geller launched Foodstirs, a baking crafts subscription box service and line of organic baking mixes, with two partners in 2015. Geller’s co-founder and longtime friend Galit Laibow hatched the business vision for Foodstirs during a fated play date between their daughters, who love to bake. Laibow was confident they were on to something big. She believed that there had to be a huge market for baking brands that were committed to sourcing organic, ethically produced ingredients for their mixes. However, she wasn’t that confident that Gellar would be the right person to partner with. She felt that celebrity partnerships were not always as collaborative as they could be. When the budding mompreneurs finally decided to team up, they knew they needed an expert to come on board to help them assess their opportunities for practical scalability and business development. When Gellar and Laibow met natural food brand guru, Greg Fleishman, they knew he was their guy. Fleishman had already helped build out brands like Kashi and Suja. The trio complete, Foodstirs officially launched with a monthly baking subscription service in October 2015. Their branded boxes of goodies incorporated some of the organic baking mixes at the center of their brand. The company’s nascent customer relationship strategy gave the Foodstirs team a way to get feedback on their product before taking their mixes into retailers nationwide. Today, Gellar, Laibow, and Fleishman continue to use technology to promote their Foodstirs products in fun ways. In addition to being sold at retail stores across the country, buyers can now get quick-scratch Foodstirs mixes online. The company also posts fun and Insta-worthy recipes on social media regularly to help their customers find ways to make the mixes their own, and to keep them coming back for more.